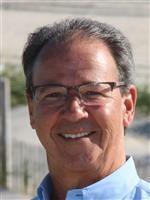 With over three decades of experience in marketing and selling LBI's finest properties, David Cowles' name and face are synonymous with Long Beach Island real estate. You'll be hard pressed to find a Realtor with a more intimate knowledge of our beautiful Island. Averaging $25,000,000 in annual sales since 2000, he can handle the most complicated transactions. David has been an Islander since birth. First as a summer resident and year round since 1980. He resides in Beach Haven.